Late 1930s Art Deco book chain charm bracelet measuring 7 1/2 inches in length. Bookchain is 8.5mm wide and embossed leaves measure 1 1/4 inches by 1 1/4 inches. 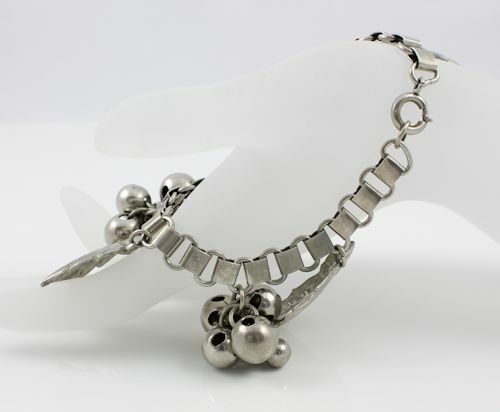 There is no wear to the silver tone plate and the old style spring clasp works perfectly. I absolutely love the combination of leaves and berry clusters.